After Biden signaled he preferred that it not run, the super PAC urging Vice President Joe Biden to run for president pulled its first television ad off the air Thursday . One day after releasing the ad recalling Biden’s family tragedies and vowing to spend six figures to air it on national television, Draft Biden abruptly reversed course. Josh Alcorn, a senior adviser to the super PAC and a Biden family friend, said nobody respects Biden and his family more than Draft Biden. “Obviously we will honor his wishes,” Alcorn said in a statement. The ad drew criticism from Democrats and some Biden supporters for appearing to exploit his personal losses for political gain. Draft Biden announced plans to pull the ad almost immediately after word emerged in a Los Angeles Times report that Biden had seen the ad and hoped it wouldn’t run. Two people close to Biden confirmed to The Associated Press that Biden and his staff felt the ad was inappropriate and in poor taste. They were not authorized to speak publicly about the matter and requested anonymity. In public comments since his son’s death, Biden has emphasized that his losses are no worse than those experienced by many Americans, and that he deserves no special sympathy. 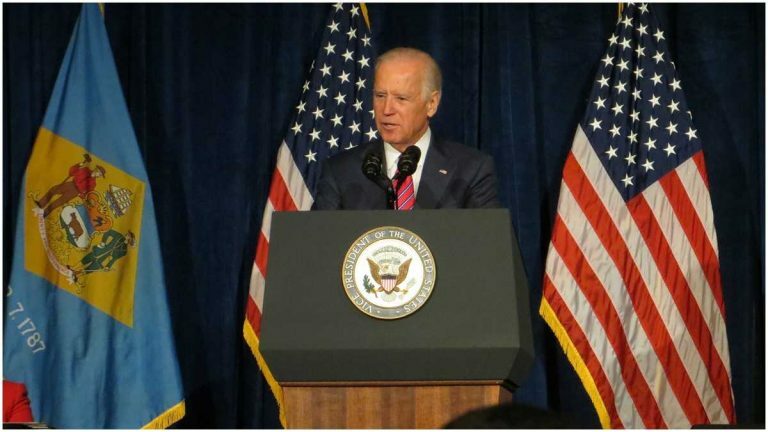 Although Draft Biden is an independent group and legally barred from coordinating with a campaign, it has attracted a number of supporters with close and longstanding ties to Biden and President Barack Obama. Alcorn, who joined the group over the summer and is steering its activities, was previously the political director for Beau Biden, who served as Delaware’s attorney general. The ad was created by Democratic ad-maker Mark Putnam, who worked on Obama’s 2008 and 2012 campaigns. Biden has said he’s considering entering the presidential race, but has yet to make a decision — to the dismay of ardent supporters calling for him to run. Earlier this week, Biden’s office pushed back aggressively against suggestions that Biden leaked word to a newspaper columnist of his son’s dying wish for him to run in an attempt to galvanize political support.